Face-off at center ice. Then, get set for all the thrills and hard-hitting action of one of the toughest sports around. Dodge defensemen. Pass the puck and fire a shot from the corner. Then quickly skate back to protect your goal. You can battle a friend or go against our tough Activision computer team. 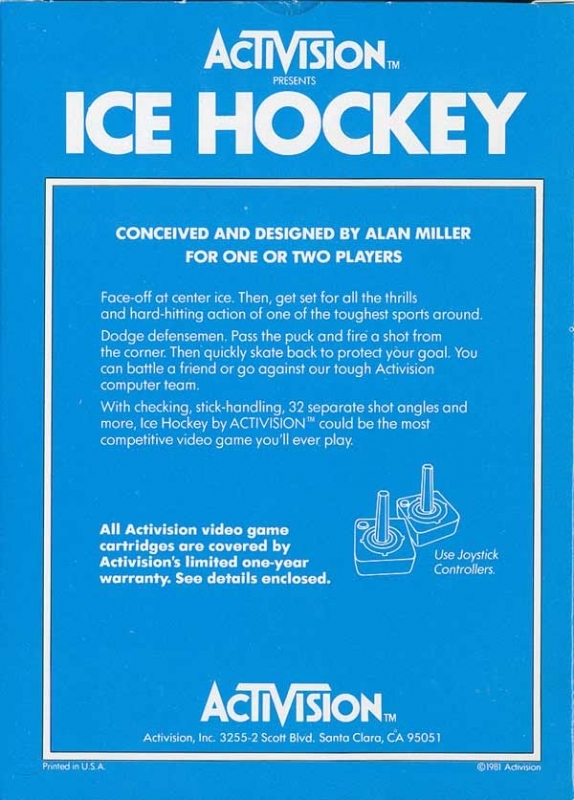 With checking, stick-handling, 32 separate shot angles and more, Ice Hockey by Activision could be the most competitive video game you'll ever play.